James Madison | Totally Radical Sportz! 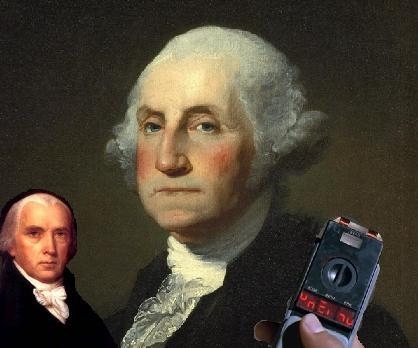 In the future, General George Washington – our first and most badass President – has been brought back to life using cloned DNA preserved from his wooden dentures. Now he must travel back to the past (with the help of his trusty midget sidekick, James Madison) to stop the New World Order from coming to fruition..